This beautiful villa is one of those homes we all dream about. 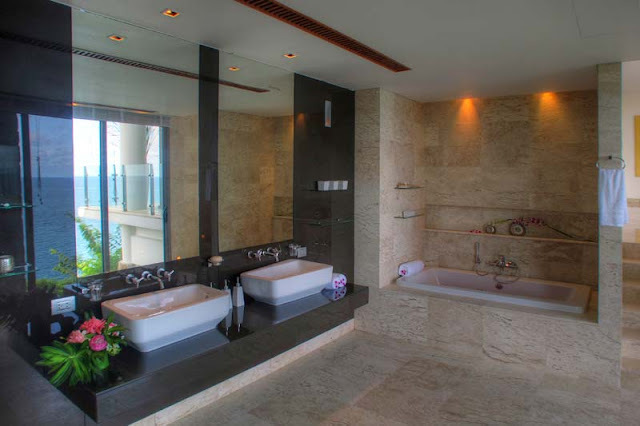 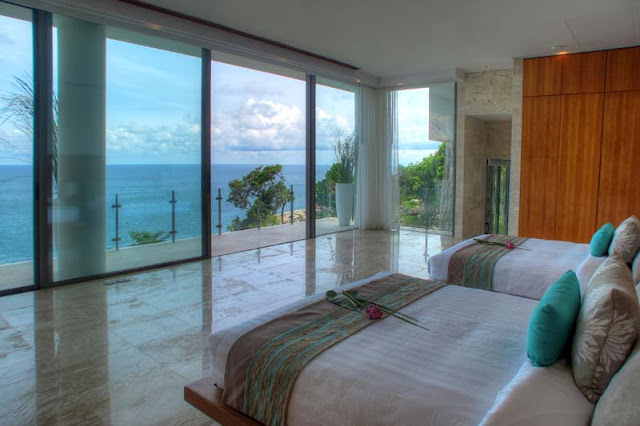 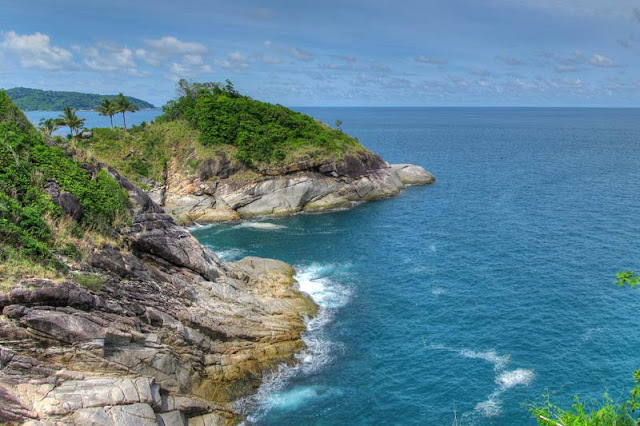 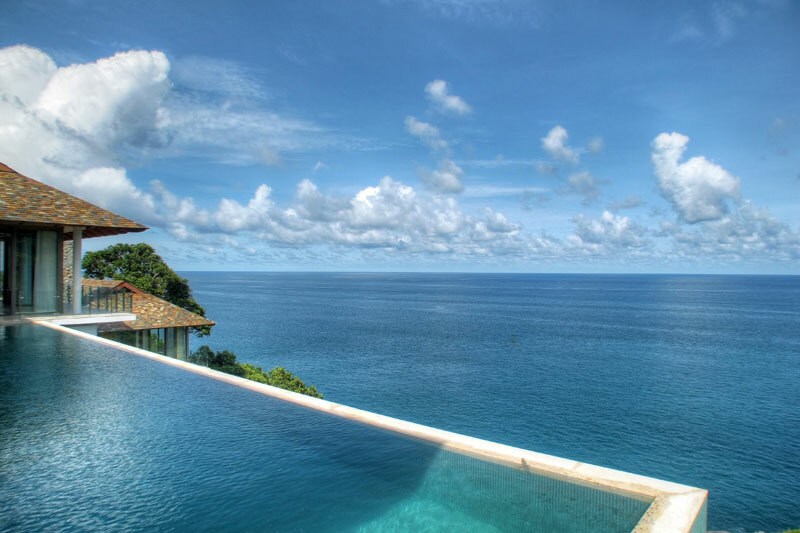 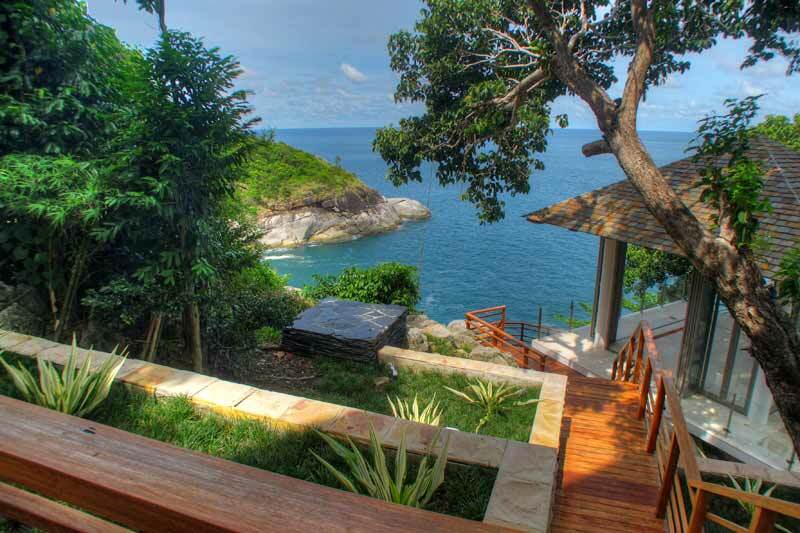 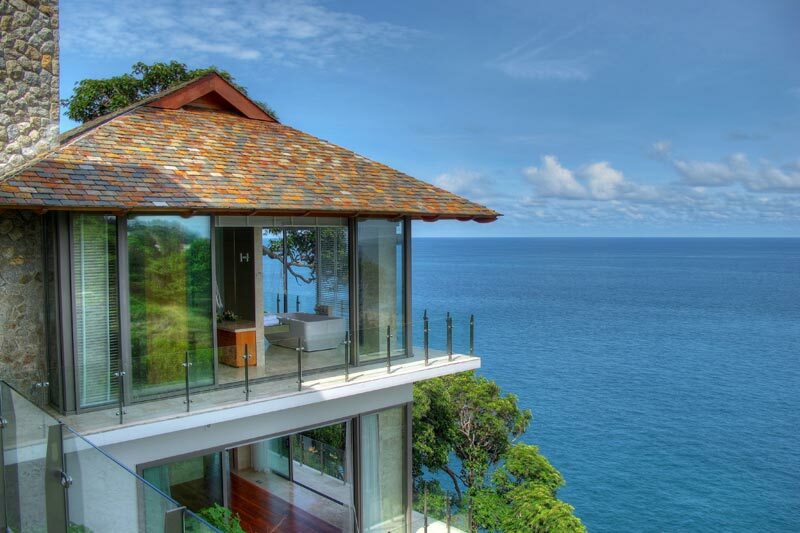 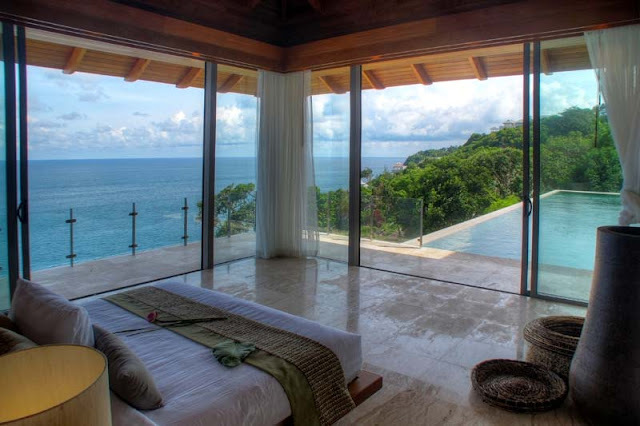 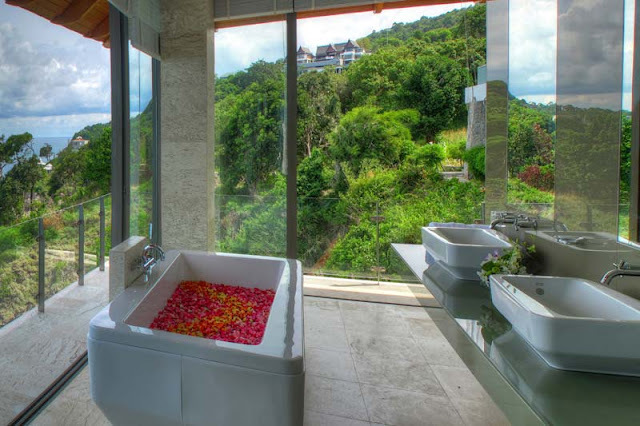 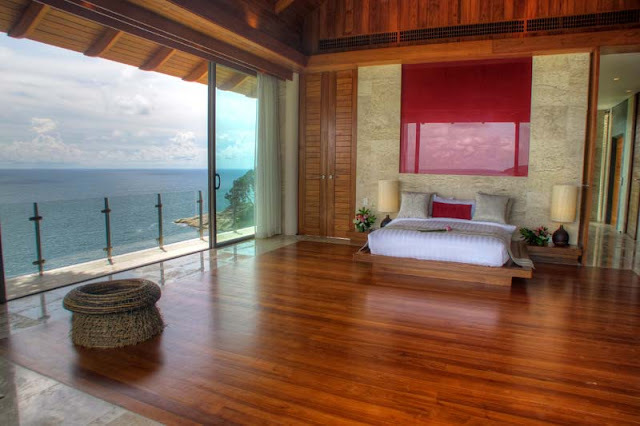 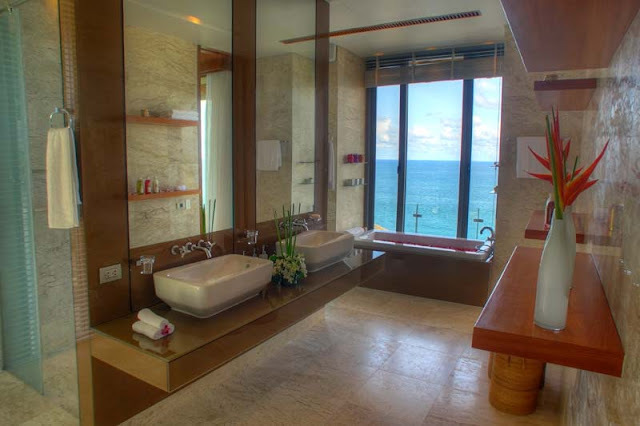 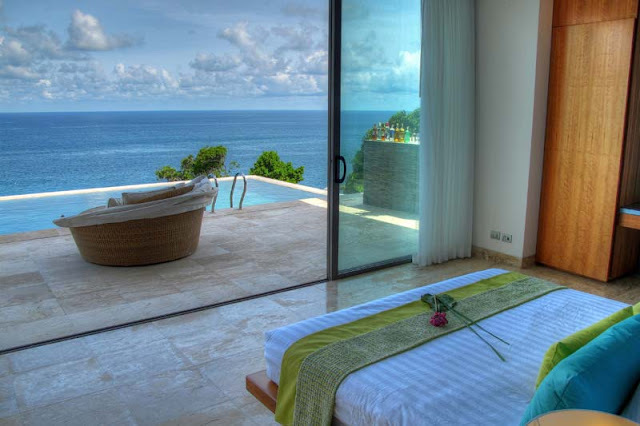 It is located right on the high cliff in Kamala, Phuket, gorgeous coast of Thailand, known for its high-end luxury beautiful homes. 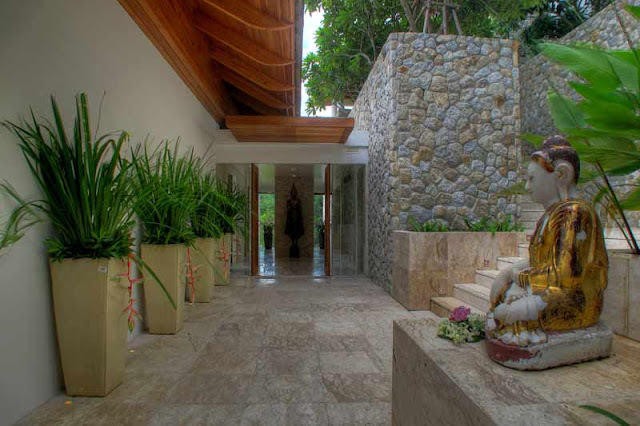 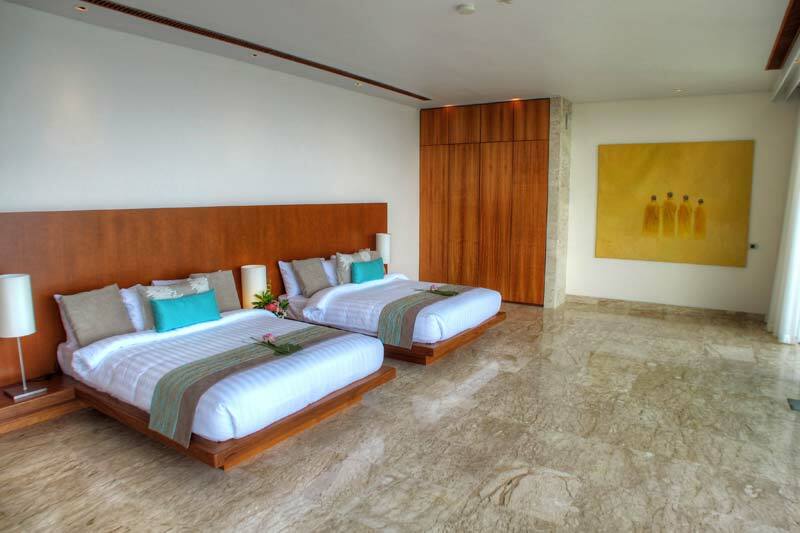 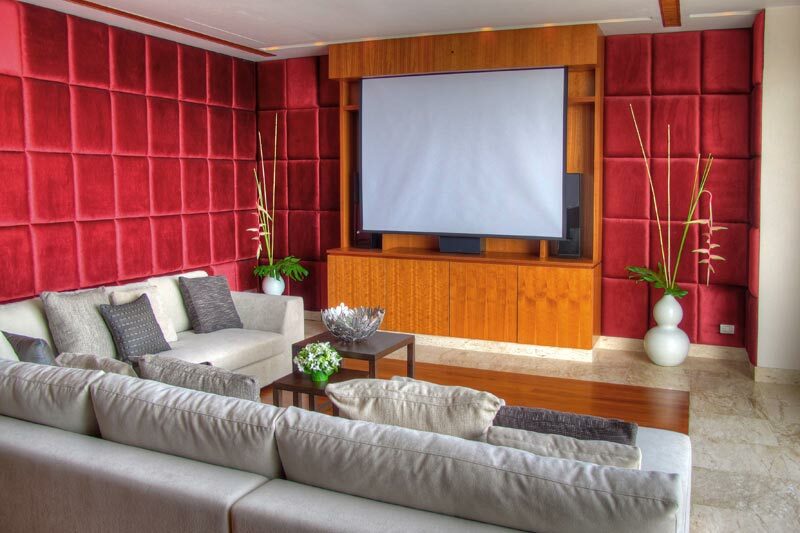 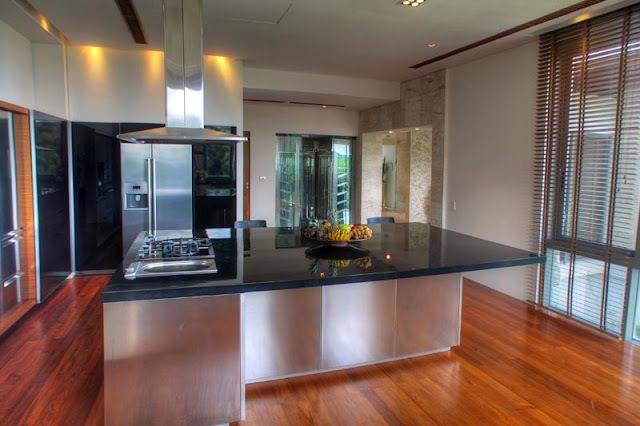 Villa Liberty, as it is called, has 6 bedrooms, 5 bathrooms, infinity pool, private beach, home theater room, massage pavilion and numerous other amazing features available for rent. 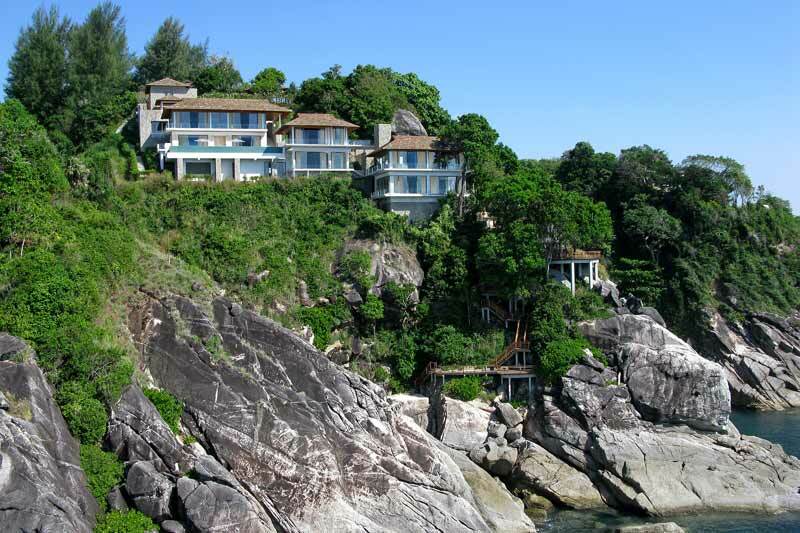 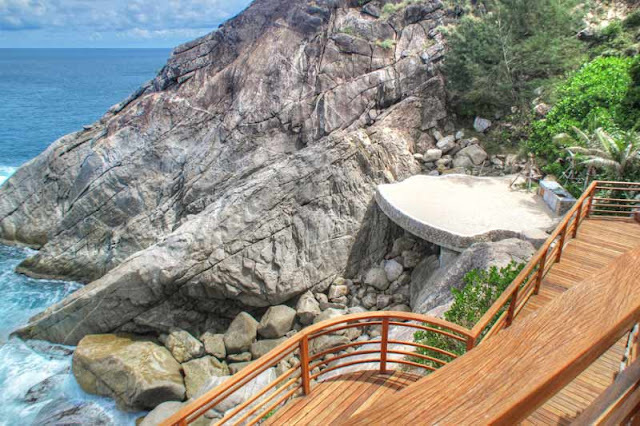 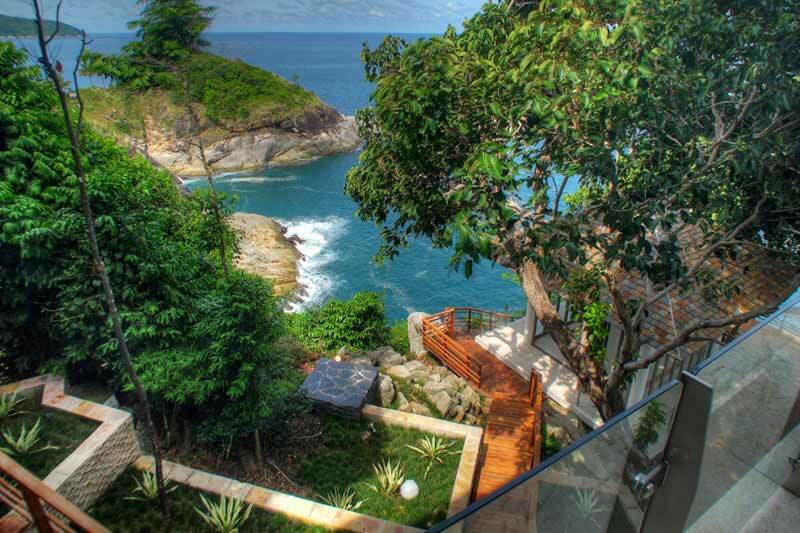 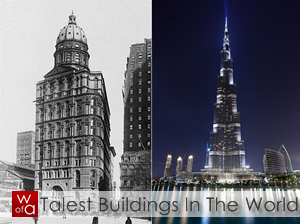 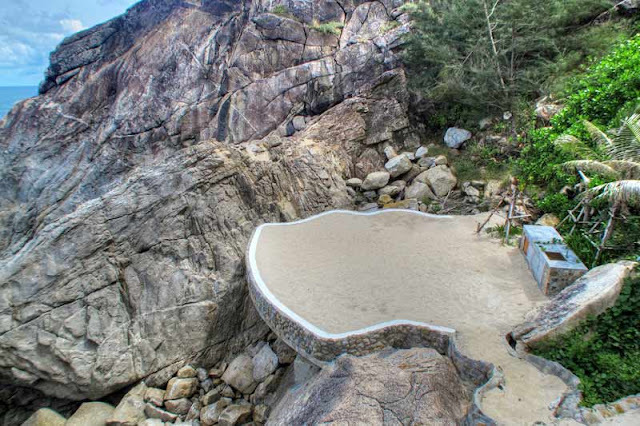 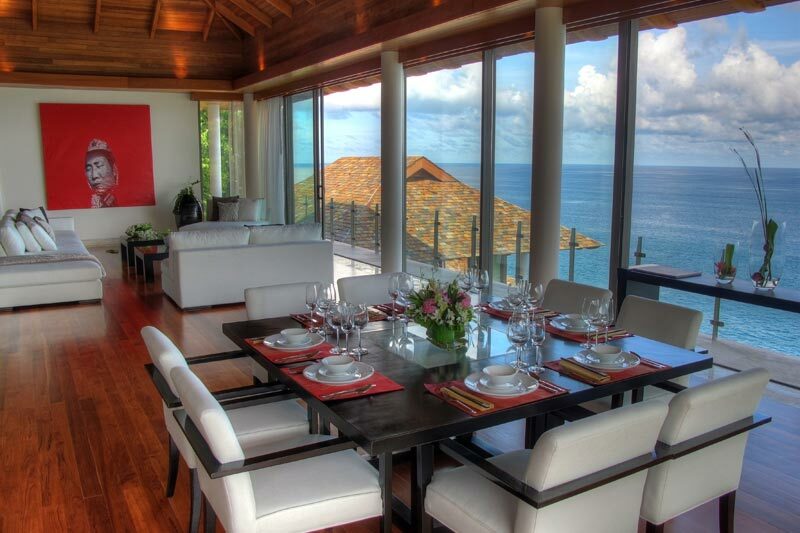 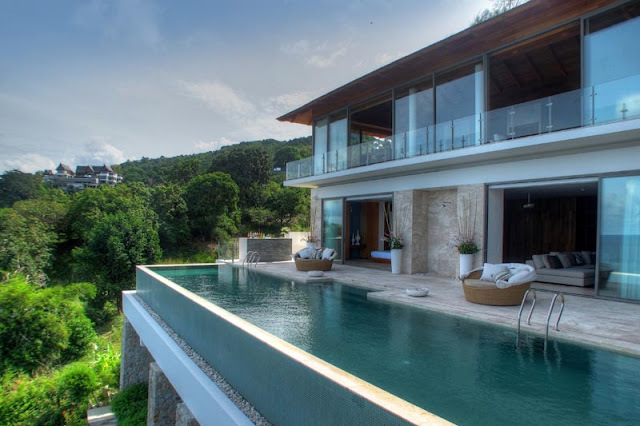 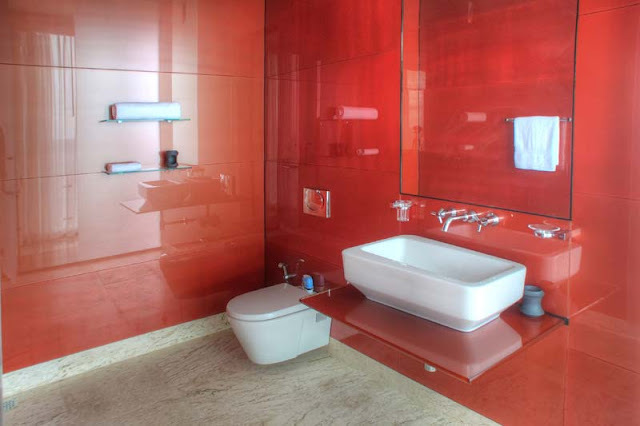 Whole property is built on different levels across the cliff which makes it even more amazing. 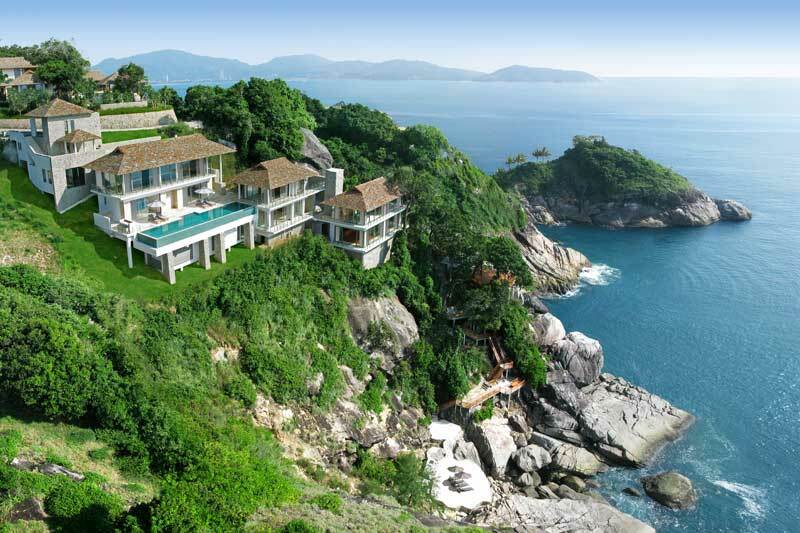 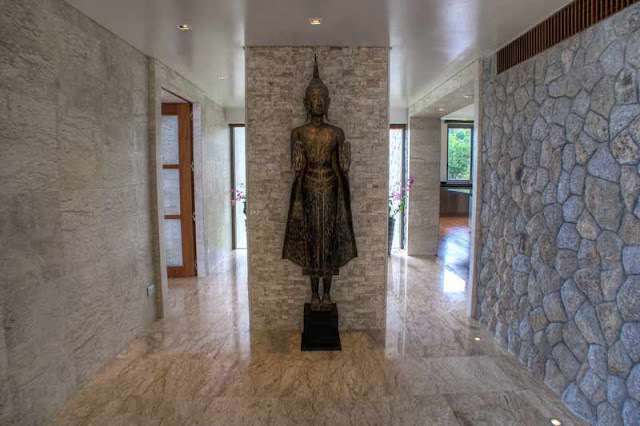 "Villa Liberty is an awe-inspiring, luxury, six bedroom pool villa situated on the Kamala headland – one of Phuket’s most exclusive addresses on the famed ‘Millionaires Mile’. 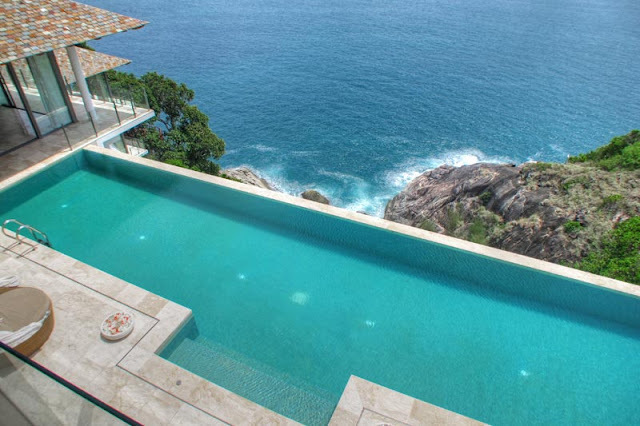 The villa rests on five separate ocean facing levels that are joined by a series of elevators and marble staircases. 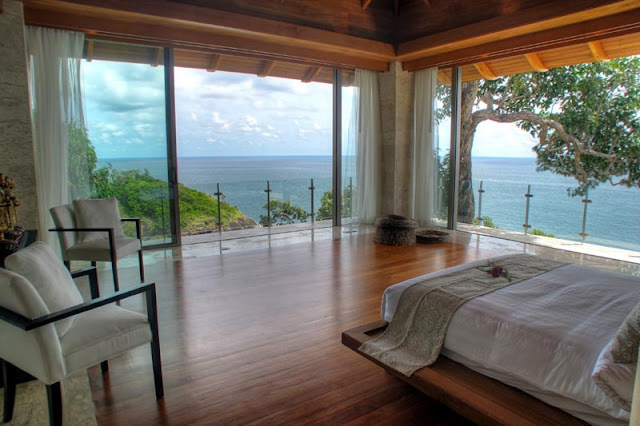 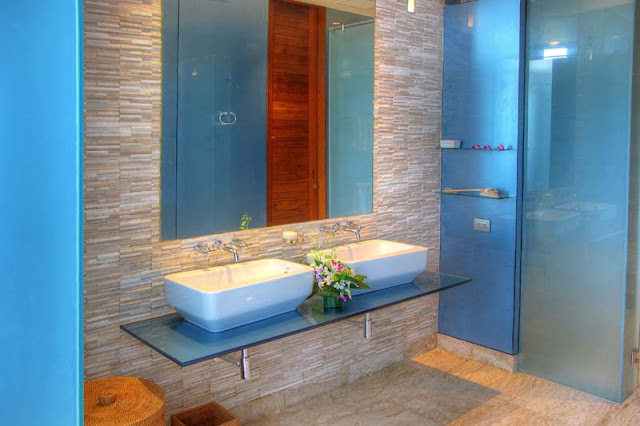 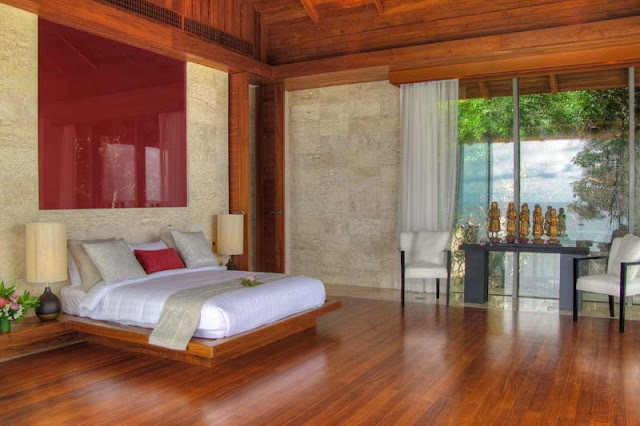 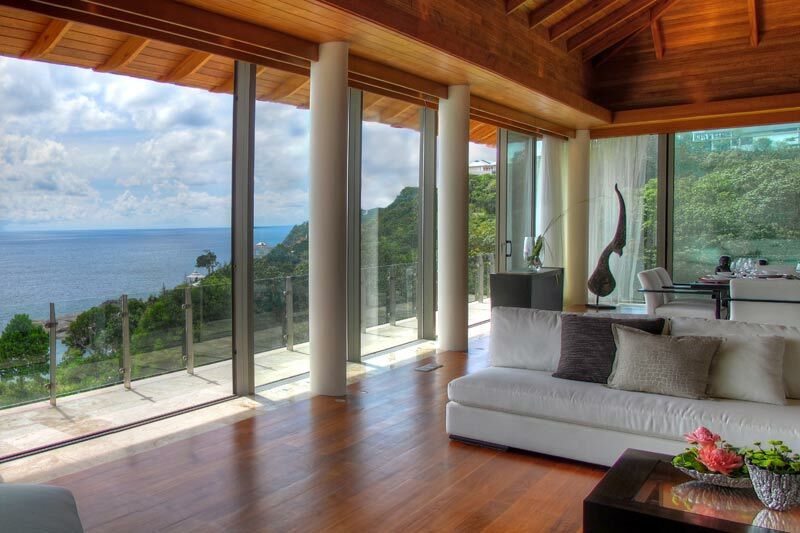 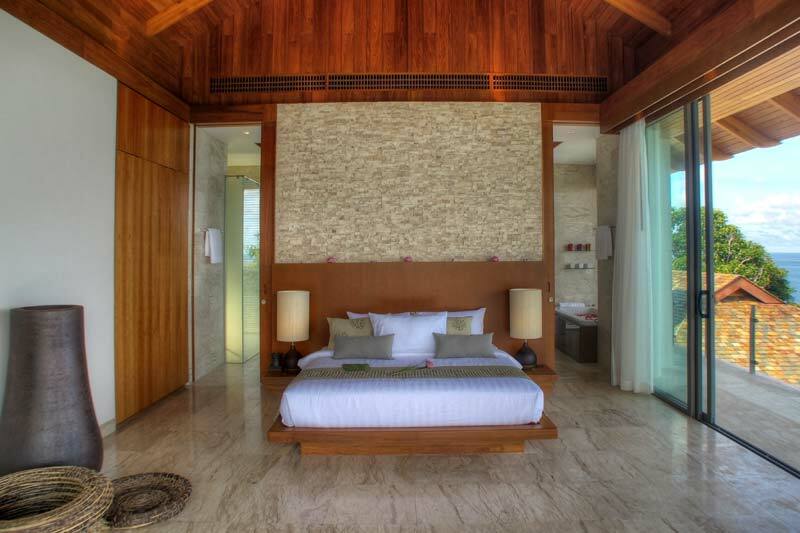 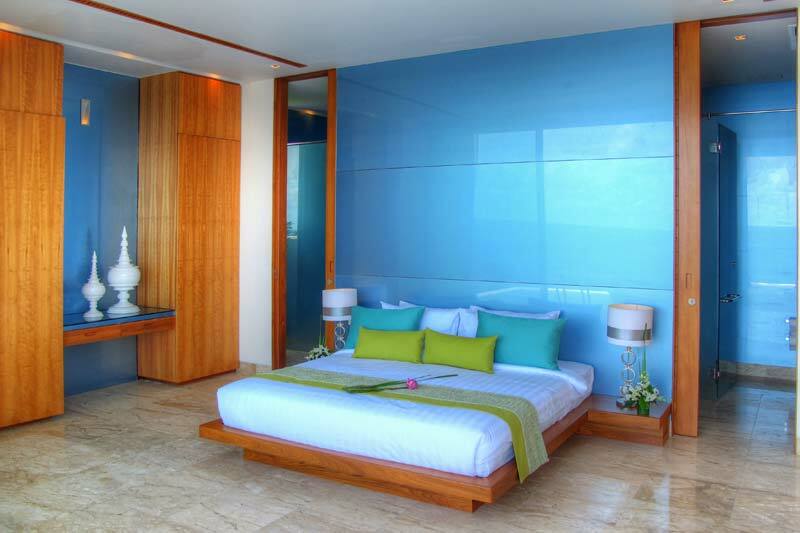 This designer villa also features a private man-made beach platform, making it one of the most unique villas in Asia, the very thing that beautiful holiday memories are made of and a veritable haven of luxury for the discerning visitor. The master European and Thai kitchen is a gourmet enthusiasts dream and features all the latest amenities and kitchen appliances thus ensuring the chef can prepare any sumptuous meal that you so desire whilst you enjoy not only a splendid holiday, but a feast that will endure in memory far beyond your time with us. 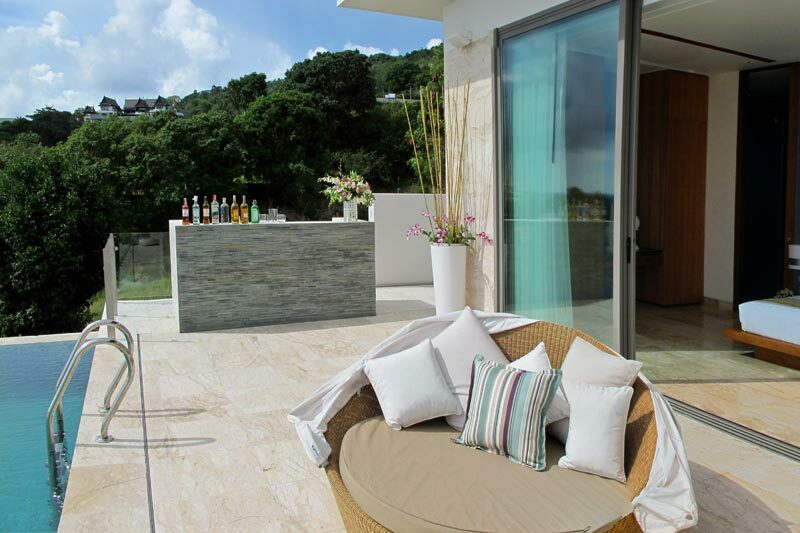 The glorious sparkling pool has its very own bar and barbeque area for you to enjoy a beverage or a lazy afternoon amidst a perfect outdoor setting. 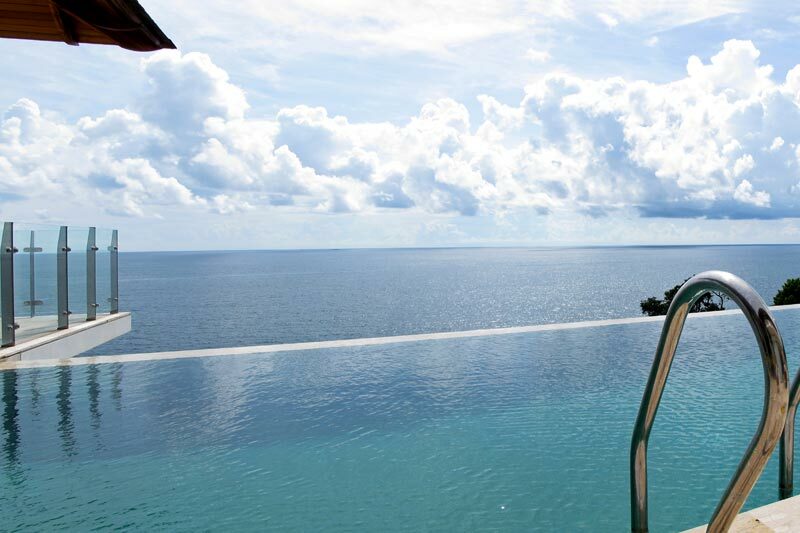 A private sala overlooking the Andaman Sea is a dreamy haven of breathtaking views, postcard perfect vistas and a beacon of peaceful tranquility. 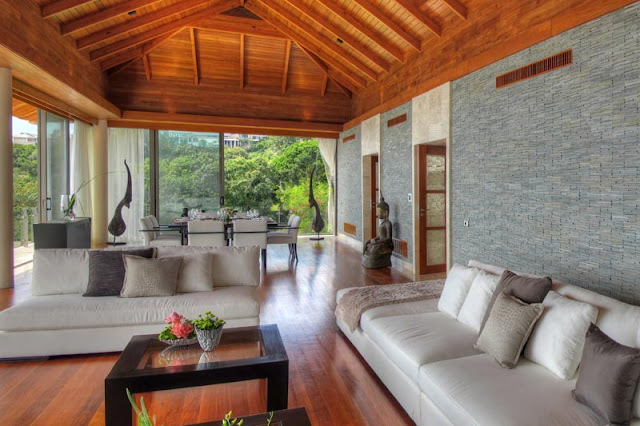 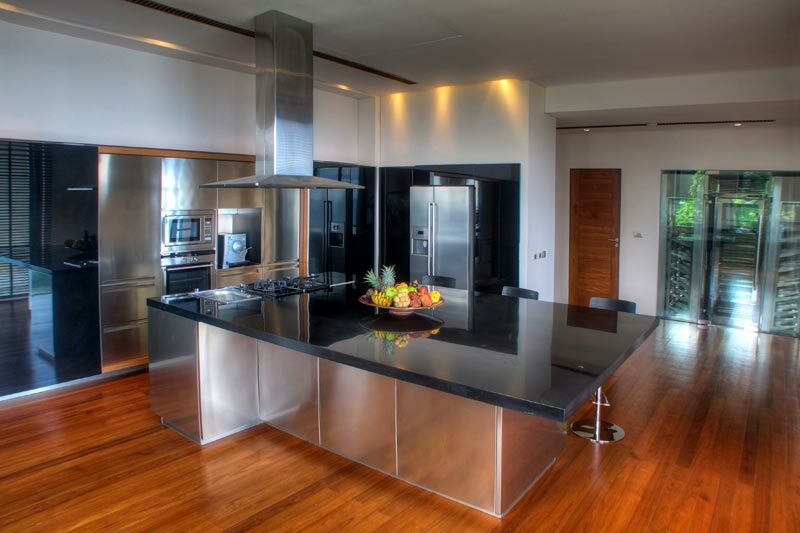 Without doubt Villa Liberty offers the ultimate in luxury vacation rental lifestyle and continues to amaze even the most ardent of luxury travelers. 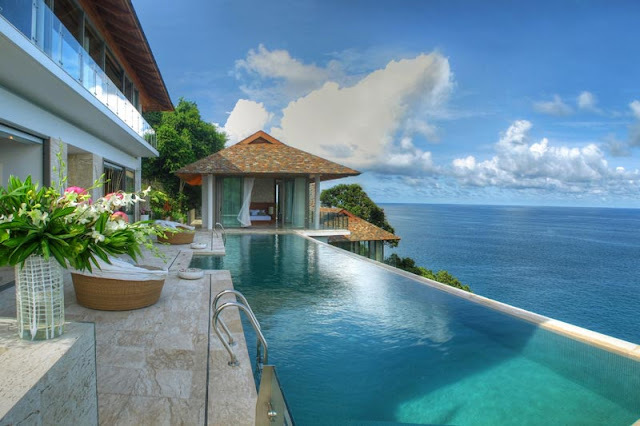 Liberty is an exemplary vacation home where your every need and desire will been taken care of, and exceeded passionately."